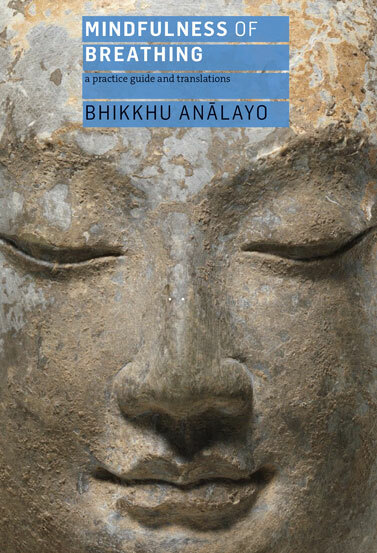 Buddhist scholar and teacher Bhikkhu Anālayo explores the practice of mindfulness of breathing in the sixteen steps of the Ānāpānasati Sutta. This is an authoritative, practice-orientated elucidation of a foundational Buddhist text, useful to meditators whatever their tradition or background. The book is accompanied with freely downloadable audio files offering guided and progressive meditation instructions from the author, available here. In the first six chapters Anālayo presents practical instructions comparable to his Satipaṭṭhāna Meditation: A Practice Guide. The remaining chapters contain his translations of extracts from the early Chinese canon. With his accompanying commentary, these help the practitioner appreciate the early Buddhist perspective on the breath and the practice of mindfulness of breathing. Anālayo presents his understanding of these early teachings, arising from his own meditation practice and teaching experience. His aim is to inspire all practitioners to use what he has found helpful to build their own practice and become self-reliant.